"For better, for worse, for richer, for poorer, in sickness and in health, to love and to cherish, 'til death do us part". 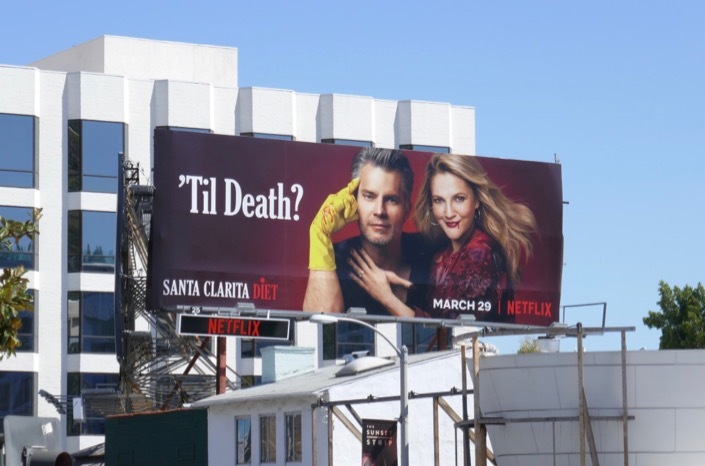 Daily Billboard is sure that when they were writing these wedding vows no one ever imagined a scenario where one spouse would become an undead flesh-eating zombie, and the other helps feed her habit and clean up her messes. 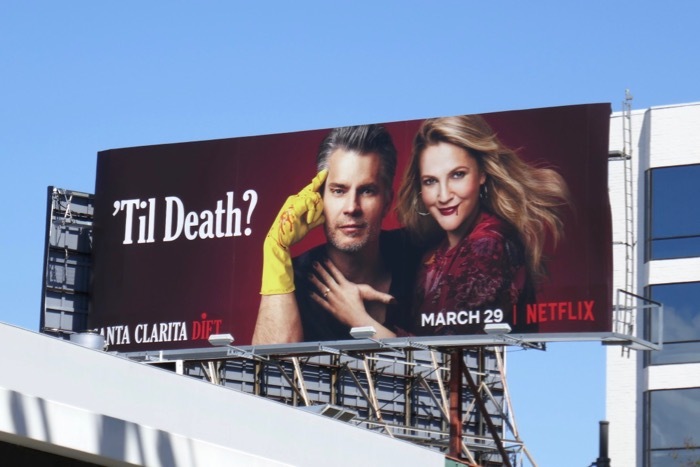 Drew Barrymore and Timothy Olyphant return as the husband and wife Californian realtors with one bloody big secret for a third season of gory comedy on Netflix. 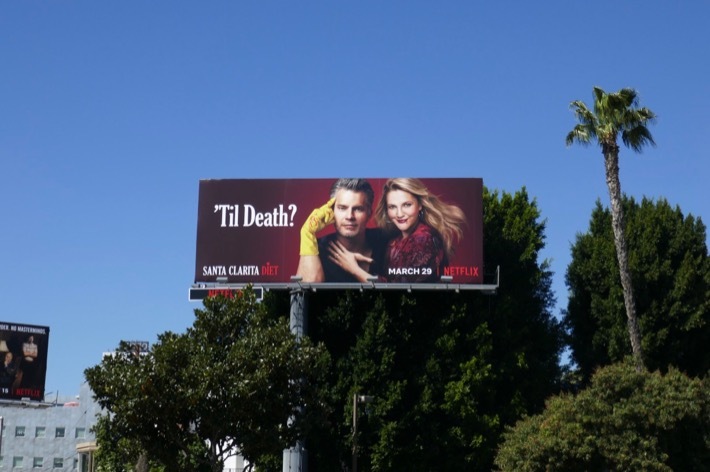 These fun season three billboards were snapped along the Sunset Strip from March 18 to March 28, 2019. 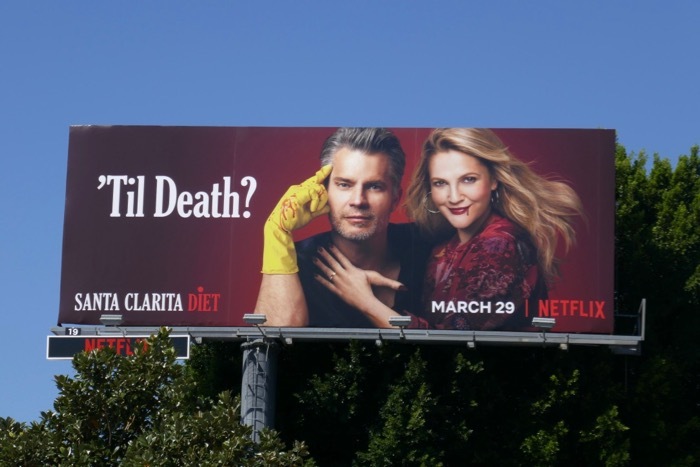 Fans of the show can also enjoy these previous season promo billboards for Santa Clarita Diet and these costumes from the series on display. 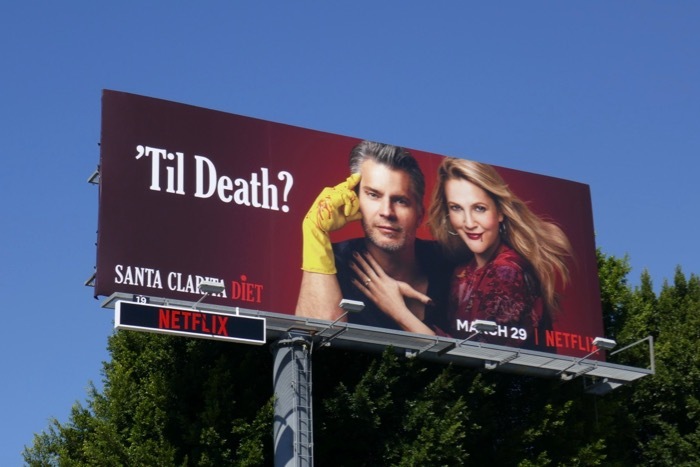 Many of Netflix's comedies have met their demise of late, like Friends From College, American Vandal, Disjointed, All About the Washingtons and One Day at a Time to name but a few, so can Santa Clarita Diet buck the trend and enjoy a fourth season renewal or is this one show that won't get resurrected?